To mark the Doha International Conference on climate change, we turn the spotlight on the CMA CGM MARCO POLO’s CO2 performance. 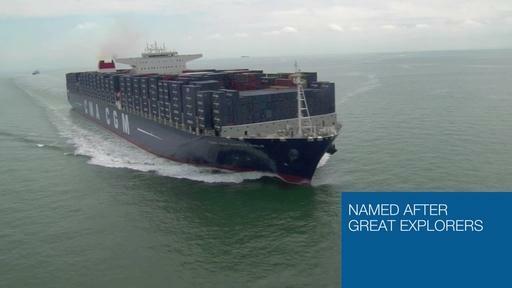 Since construction, the CMA CGM MARCO POLO has been subject to extra special attention regards CO2 emissions: the energy efficiency index (equivalent to the energy performance of an electrical products and buildings) is already 30% less than the regulatory requirements set by the International Maritime Organization for 2025. In terms of operational performance, the CMA CGM MARCO POLO is producing 3.6 grams of CO2 per tonne of goods carried per km, a new record 12% lower than that attained by the CMA CGM CHRISTOPHE COLOMB. This is five times less CO2 emissions for the same transport by rail, 15 times less than by road and 150 times less than by air. “Shipping is the most efficient means of transport, but with the CMA CGM MARCO POLO a new record has been set with this figure of 3.6g of CO2 per tonne per km and will help the Group meet its ambitious target to reduce CO2 emissions by 50% between 2005 and 2015.” explains Julien Topenot, Manager Group SSE Experts.